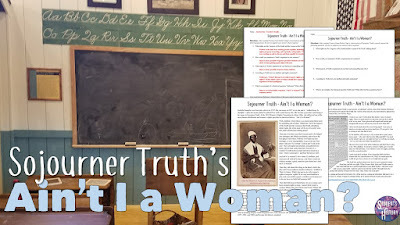 This engaging activity on Sojourner Truth's famous "Ain't I a Woman?" speech is awesome for giving your students an introduction to analyzing primary sources. 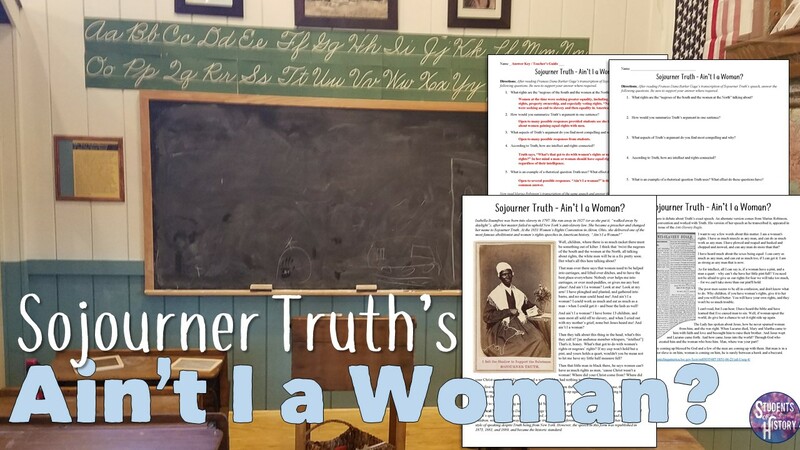 The download includes 2 different versions of Sojourner Truth's speech. First is the most widely printed version that repeats her iconic rhetorical question. The second is an earlier account from an Abolitionist newspaper. Both versions are short, compelling, and easy for students to understand. In my class, I ask for volunteers to read them out loud so students can hear the power in her words and better differentiate between the 2 speeches. Following the 2 versions is a worksheet with open-ended analysis questions designed to get your students thinking critically about Truth's words and the differences between the two accounts. I love this resource because it is an primary source that is engrossing and in language students can comprehend. It's a great way to get them into more primary sources. PS: You can get this primary source analysis activity PLUS over 500 more amazing teaching resources and lessons for World or American History through a monthly subscription to my site StudentsofHistory.org! 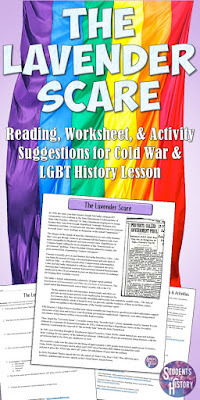 This lesson plan activity on the Lavender Scare of the 1950's is excellent for incorporating LGBT your Cold War unit! 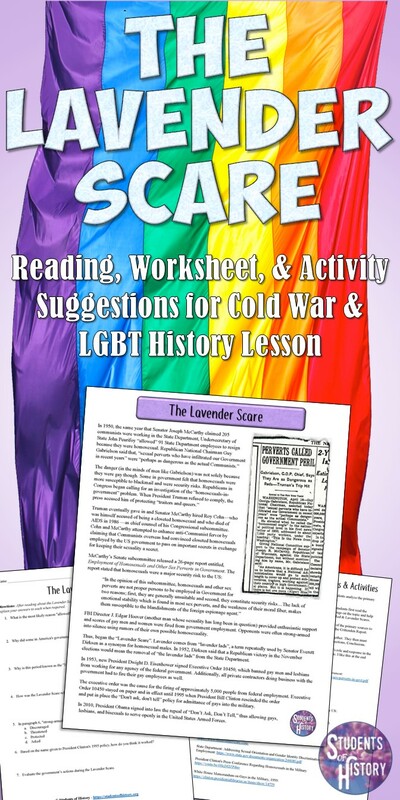 The downloadable activity includes an article on the history of the "Lavender Scare". This period of fear and paranoia in the United States coincided with the Red Scare and saw thousands of government employees lose their jobs for being homosexual. The article details how Senator Joseph McCarthy - of McCarthyism infamy - connected homosexuality to communism and un-American activities. Soon after, newly elected President Dwight D. Eisenhower issued Executive Order 10450, which led to a crackdown on homosexuality throughout the government and government contractors. The article goes on to connect the scare through to President Clinton's repeal of it and his "Don't Ask, Don't Tell" policy and finally President Obama's repeal of that. After the article is reading comprehension activity with a worksheet and questions designed to help students think critically about what they learned. This includes an answer key for your convenience. Finally, this activity concludes with an extension activity with links to primary sources for students to analyze. These can be used for a collaborative learning activity with students delving into the Congressional reports, Executive Orders, and documents mentioned in the article. You can download this great LGBTQ activity here. Thanks so much for checking this out! This fantastic download on the major World Religions features engaging activities on each religion for an entire unit! Your download features 6 folders stocked full of resources on Buddhism, Christianity, Hinduism, Islam, Judaism, plus Chinese philosophies of Legalism, Confucianism, and Daoism! Inside each of the individual folders are reading worksheets, PowerPoints, interactive notebook activities, worksheets, projects, & a lot more! In this one download, you get close to 60 teaching resources! Everything you need is there, including an overview PowerPoint on all of the religions, multiple resources on each religion, reading materials, review worksheets, PowerPoints with guided notes pages, a review game, this 40-question editable unit test with answer key and more! 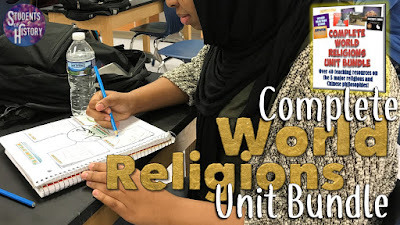 Plus, you also get a cooperative learning research project on World Religions, this PowerPoint on the Founding & Growth of Christianity, this gigantic Islamic Civilizations Unit Bundle, and much, much more! All of the resources are numbered by day throughout and a unit guide provides suggestions on how to implement all of the resources with your students! You can download this amazing unit of activities right here. PS: As a reminder, you can get this resource PLUS over 500 more amazing teaching activities for World or American History through a simple monthly subscription to my site StudentsofHistory.org! Joining gives you immediate access to every engaging resource — each highly reviewed by thousands of teachers across the world! Save yourself time, energy, and sanity by joining today! 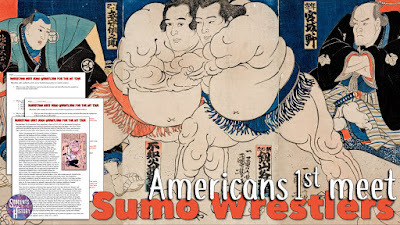 This engaging primary source reading activity describes a colorful encounter between American sailors on the Matthew Perry expedition to Japan of 1852–1854 and a group of Japanese sumo wrestlers. The primary source article includes a brief introduction to help students understand the background, then the short excerpt reading. This is a fantastic, colorful primary source that students can easily visualize and appreciate. The article is followed by a 1 page set of reading analysis questions. One of my goals each year is to increase my students' reading skills and comprehension. I found that using short (1 page or so) readings like this that are interesting for students while also highlighting historic events is an awesome way to improve their reading and understanding of the events. An answer key is also provided in the download for your convenience. You can download this awesome resource for your classes by clicking here. Cinco de Mayo is one of the most misunderstood holidays in America. The first week in May, every Mexican restaurant starts promoting specials and many people assume that it is Mexico's independence day. I found that none of my students knew anything about the real history of the holiday and wanted to change that! I created this resource to do just that. 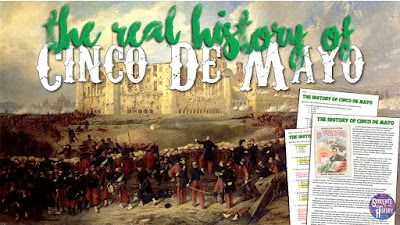 The holiday actually commemorates a victory at the 1862 Battle of Puebla. This was a massive and unexpected victory for the Mexican army against a much larger French force. In Mexico, the holiday is primarily celebrated in the state of Puebla,where it is known as El Día de la Batalla de Puebla. 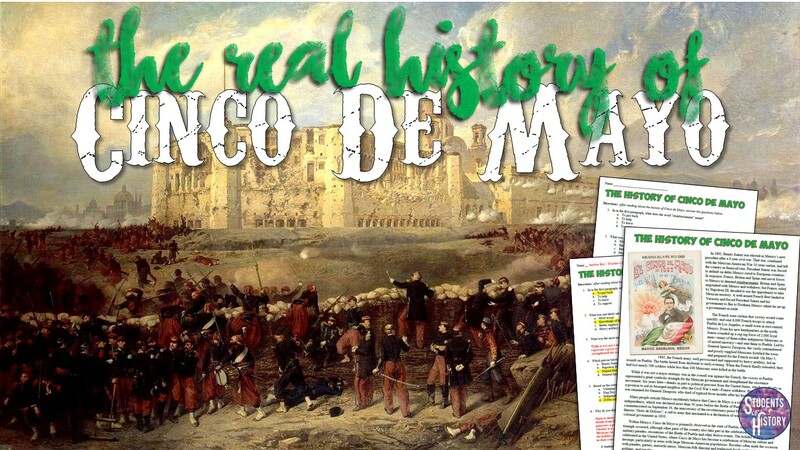 This fantastic Common Core-aligned reading is excellent for a quick lesson on the history of Cinco de Mayo! The one page article explains the history of Cinco de Mayo, its meaning, and how it is celebrated today. Following the 1 page article is a set of reading analysis questions to gauge student understanding and allow them to share an opinion on why the holiday has become so popular in the United States. An answer key for this is included for your convenience. Thanks so much for stopping by to check it out!